Owner and sushi chef Thanh Nguyen works magic at the sushi bar as well as in the kitchen. 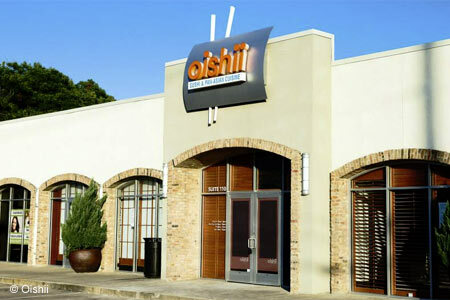 : Oishii reopened in October 2013 after a fire shut it down for nearly a year, and the neighborhood is certainly glad to have its beloved pan-Asian restaurant back in business. In amateur hands, crispy tuna rolls capped with a spicy jalapeño mayonnaise could spell disaster, but under the watchful eye of owner and sushi chef Thanh Nguyen, the rolls are daintily battered flash-fried strips of rare tuna nesting in nicely-executed sushi rice. Ditto the chef's special, a crispy tuna roll wrapped in barbecued eel and creamy avocado slices. And then there is the unexpected sashimi salad tangled with bits of tuna, salmon and octopus served over a crispy bed of iceberg lettuce in a tangy sesame, soy and rice vinegar dressing. The rest of the menu is a free-flowing journey through Southeast Asia --- hearty pho and delicate spring rolls from Vietnam, Thai-style hot pots, satay and noodle dishes and Chinese standards like orange beef.